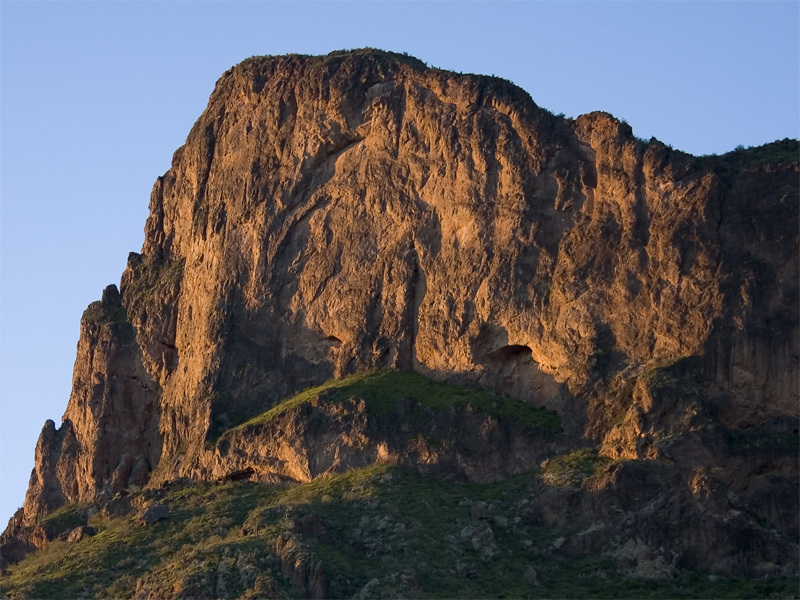 Picacho Peak State Park is a 3,700 acre park surrounding Picacho Peak, about half-way between Phoenix and Tucson. The name ‘Picacho’ comes from the Spanish word meaning ‘Big Peak’. Because of the origin of the name, there happens to be other Picacho Peaks in New Mexico, and even another in Arizona. The Peak rises 3,374 feet above sea level, and is visible from downtown Tucson. There are hiking trails at the park, rising up to the top of the peak. Though not actually a climb, the trail is steep in places, and steel cables have been installed to help hikers ascend. If you go hiking, it’s recommended that you wear hiking boots, gloves, and bring along plenty of water. In March each year a civil war reenactment is held at the State Park, reliving the Battle of Picacho Pass and two other battles. The park is open 5am – 10pm every day, with the hiking trails open from sunrise to sunset. Camping sites for both tents & RVs are available for $25/night (with online reservations charging an extra $5 fee per order). Showers can be found nearby the campsites, and picnic shelters & grills can be found throughout the park. For more information, visit the Picacho Park State Park website. Enjoy the view as you hike the trails that wind up the peak and, often in the spring, overlook a sea of wildflowers.